One of the oldest and most effective ways in which you can reach customers and potential readers is through the use of email marketing. Time and time again, email marketing has been shown to have the best return on investment while also being relatively easy to manage – the only real limitation is how many people’s contact information you can collect in a given time. 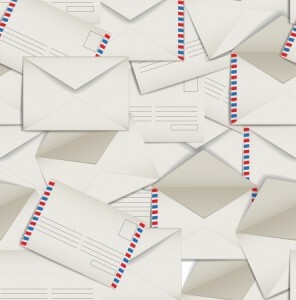 It goes without saying that expanding your mailing list is a vital part of broadening your online marketing. Below, we will outline a few simple tips that you can use to grow your currently-fledgling email list into an investment powerhouse. Having a way for customers and readers to further engage with your brand is vital for a long-term marketing strategy. While some websites prefer to use social media interaction as a way to interact with their followers, email marketing is still much more effective. If faced with choosing between the two, you should pick email every time. Make sure that an opt-in feature is displayed prominently on every page of your website, giving your readers no excuse when it comes to signing up for future updates. If you want your readers to be pinging lists with their contact information, make sure to have an abundant amount of opportunities for them to opt-in. Within your opt-in form, you can include a brief summary of what the potential subscriber will receive in return. It is quite difficult to convince someone to give you their contact information if you are not being upfront with them on the services provided, so be sure to summarize your offerings in a few key points. You can also boost the likelihood of gaining subscribers by doing your normal job: updating your blog or website with new content on a consistent basis. If you are already having some success with your email marketing, then be sure to mention that in the summary: let others know how many are already connected to your brand. Sometimes, email marketing campaigns become too “preachy” and do not offer readers the ability to exchange ideas or participate in collaborative events. For those seeking added participation from their existing base, one great way to do so is by having contests that encourage participation and reward those who provide the best insights or who share your content the most. Engaging with your subscribers makes it much more likely for said content to be shared, giving you greater access to new readers and subscribers. Considering the amount of value a well-tuned promotional campaign can have, offering a small reward in exchange for participating is a win-win. While pinging lists of email subscribers with the latest news and content involving your site is the basic premise of email marketing, you must be proactive in convincing others to subscribe. By clearly explaining the benefits of subscription, offering multiple opportunities to opt-in on your site and maintaining an open dialogue with your subscribers, you can increase conversions while also augmenting the chances of gaining additional exposure. Those who wish to grow their email lists by the thousands will be well advised to adhere to these three simple tips. « Excelling At Analytics – What Does It Take?